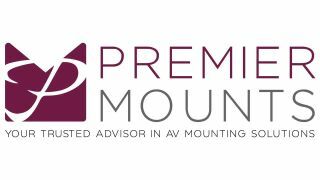 The What: Premier Mounts has launched the Convergent LED Mount Series. The What Else: Features of the Convergent LED Mount include: a modular system scalability from 2x2 to unlimited width or height; easy accessibility to mounting bolts; lightweight easy install and transport design; ability to overcome wall unevenness; additional adjustability points that simplify the x-y-z plane alignment; and solutions available for all major LED display manufacturers. The Bottom Line: This product line is easy to install and includes solutions available for all major LED display manufacturers. Reduction in weight and packaging of this minimal component style system makes the solution easier to transport on any installation site. Mount connection points were specifically created with a strong engineered design for the improvement of rigid wall structure, with the ability to tighten the entire video wall and eliminate any seams quickly.